Have you ever played ET Atari or Superman 64 on emulators just for the heck of it? have you ever felt powerless to help someone? Last view: 11 days How noble is the noble Super Robot samurai? So you follow Chivalry and Bushido? Do you like talking Japanese? Do you know how to speak Booish? Is Reizenni being too stereotypical? Do Hammer Bros. destroy your stuff sometimes? Did your sword cut my board into a 502 Bad Gateway? What is the worst error you have ever encountered? How many of the errors have you seen? Have you ever had a fatal error? Are you a boring guy or a fun guy? 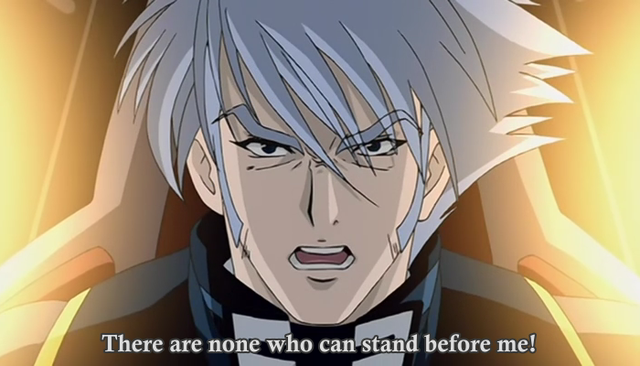 How noble is the noble Super Robot samurai? I don't see how this'd be related to...well, anything really. Probably a corrupt/crashed Windows partition. What does this even mean? If you encounter an error, you obviously see it. See answer two quotes above this one. I mean there are 404, 503, 502, 501. How many have you seen? How many status codes can you think of? Have you ever had something work then break immediately afterwards? Last view: 273 days How many tabs open do you have right now as you're reading this? Beats me. I don't really keep count. Er...4 on the top of my head? Don't really remember, to be honest. I had this one portable CD Player by Denver (Crap manufacturer and no, I didn't buy it) many years ago that kinda decided when it wanted to work properly and when not to, though. How many tabs open do you have right now as you're reading this? MySQL - queries: 189, rows: 595/628, time: 0.075 seconds.